This portable ramp, with its single fold design, sets up quickly and is ideal for mobility equipment. 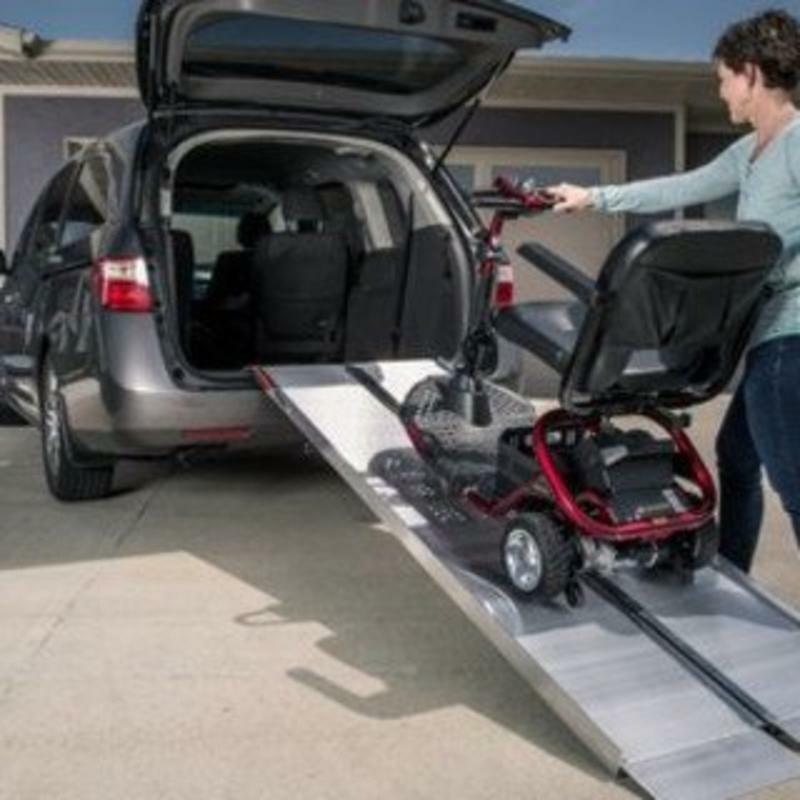 EZ Access Suitcase Wheelchair Ramps, with their single-fold design, set up quickly and are ideal for a scooter or a wheelchair. Made of lightweight aluminum with an easy-to-carry design, the SUITCASE Single-fold Ramp is fitted with ergonomically-designed handles and a full-length hinge for additional strength and stability. Designed for high traffic use, this durable, folding ramp features an extruded slip-resistant tread for superior traction.